Call 732-598-7700 to see the homes in Keansburg. 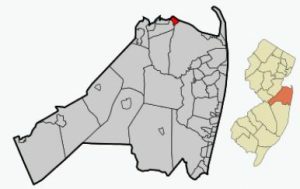 Keansburg is located on the Raritan Bay. One of the main attractions of Keansburg is the boardwalk and amusement park. Keansburg is close to major roads. Also available is bus, train and high speed ferry service to New York City. As a result, Keansburg is an ideal location for commuters. The homes for sale in Keansbury are mostly in the starter home price range. Also a fair number of the homes in Keansbury are older, 100 years old or more. Newer construction is also available at times. Additionally, condo complexes are in Keansburg as well. There are also private schools the area. In Holmdel are St Benedict (K-8) and St John Vianney High School. Nearby is Ranney School in Tinton Falls, a K-12 preparatory school and Christian Brothers Academy in Middletown. Students from homes in Keansburg can also attend the Monmnouth County Vocational School District. Seven magnet schools offer specialized career training courses in areas such as Computer Science, BioTechnology, medical fields and much more. Due to it’s proximity to the Raritan Bay, boating and fishing are available. Shopping is available, both in the downtown area as well as on Route 35 and Route 34. Also, there are many fine restaurants are in the area, including one of our favorites, the Keyport Fishery.